Need to find a new game. So I started my 3-yr-old off on NFS Hot Pursuit a few months ago, which has been great for the "free drive" mode so he can just have fun driving around. 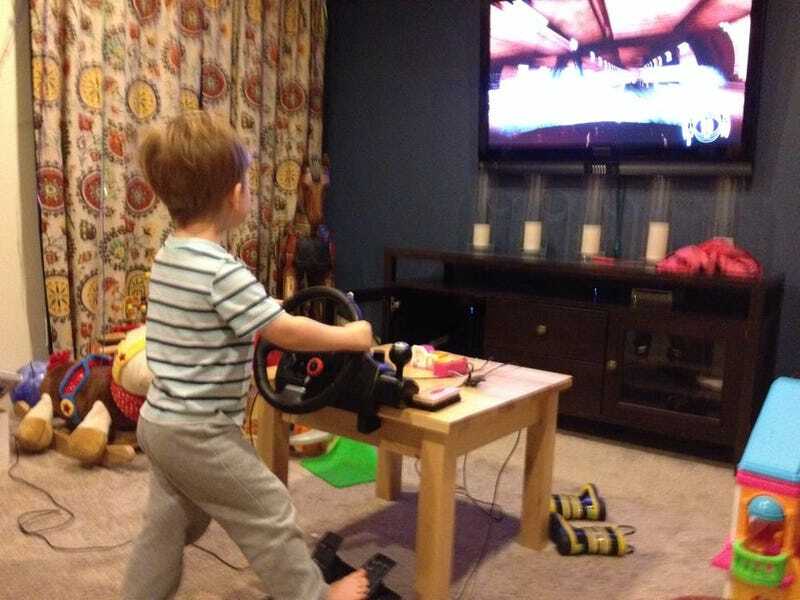 My other driving games are all about competition, and he's not old enough for that yet. So I'm looking to Oppo for some suggestions for other games he could play on our PS3. Maybe an off-road game where he can just bound around and bump into things? Another road game where he can just cruise? They don't have to be "good" games, just meet the basic criteria of letting a 3-year-old have fun driving.